Family life courses are becoming more diverse. The interdependency of lives matters. Social contexts and policies matter. Investigate how policies address family diversity. Develop short- and longer-term projections. 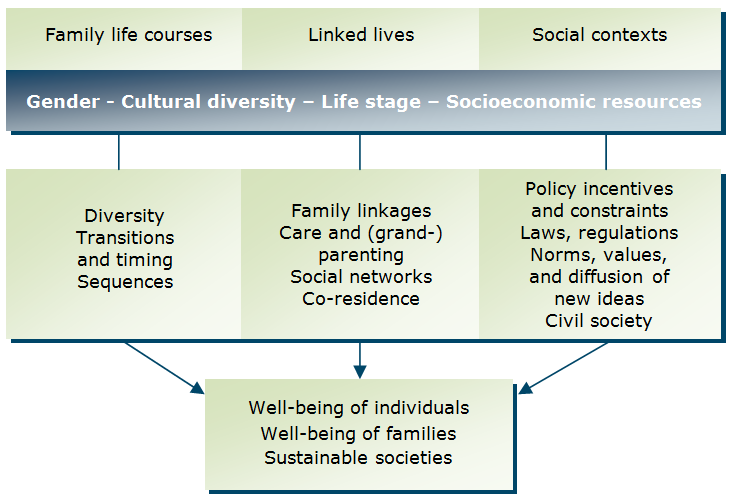 The interactions between these transversals with the fundamental processes shape the outcomes of the diversification of family life courses for individuals and societies; (re-)produce inequalities across the life course and across generations; and shape the policy responses that are appropriate in order to promote positive objectives.